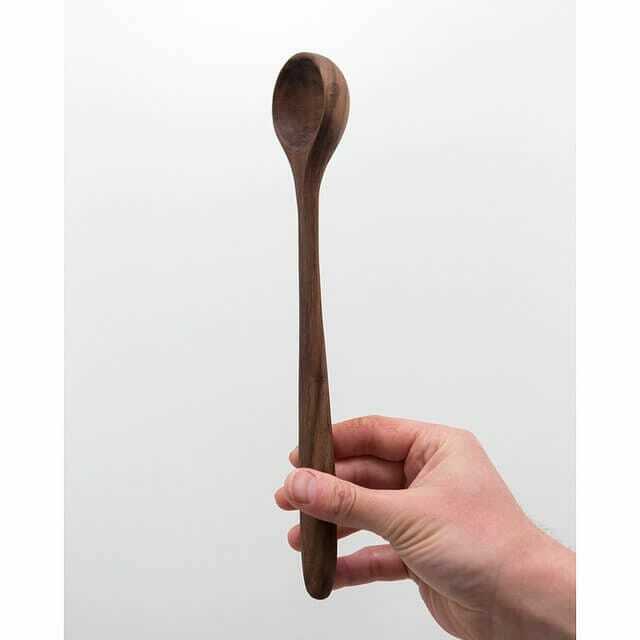 These spoons have been hand carved from a lovely piece of Black Walnut. A wee note on wood care – Wood is a natural organic medium and shouldn’t be washed in a dishwasher. Please hand wash in warm water. 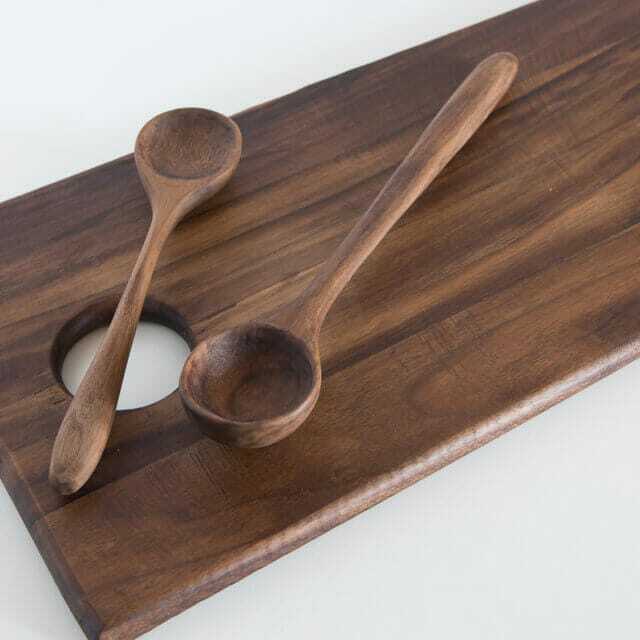 Please don’t soak your wooden products in the sink, they’ll soak up the water and could potentially warp or crack. After a few uses you might want to lightly sand and re-oil with a food-safe oil. Each piece has been carefully selected and carved. Please respect the wood and it will remain a thing of beauty in your kitchen for years and years to come. I'm Christopher Viviani and I create homeware that is unique, yet affordable. Each stand out piece is made and finished carefully by hand from the best ethically sourced materials. My wooden and ceramic ware is a step away from the mundane and lifeless mass produced ware and are a celebration of individuality and uniqueness. 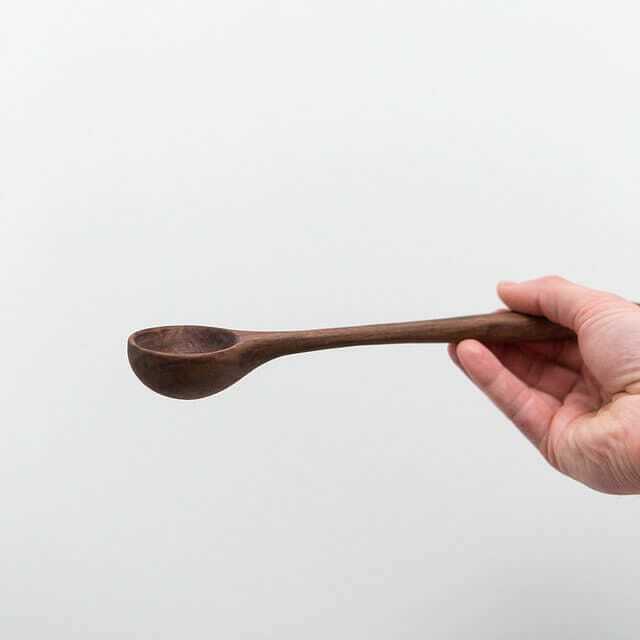 Trained as a Sculptor and inspired by nature, bushcraft and food, I'm constantly thinking about how the right piece of kitchenware can change your relationship with food and increase your pleasure of eating. Whether it's a mug that fits your hand perfectly, a favoured bowl to eat your morning cereal from, or something for your home, I know you'll find something here that helps you stand out every day. Clod & Pebble is my shop for contemporary artisan ceramic and wooden ware for the house and home. Every piece is handmade and unique. If you're looking for a special mug, a favoured fruit bowl or a trusty chopping board, or something bespoke I can cater to all tastes. Based in Ayrshire, on the west coast of Scotland, my studio is surrounded by beautiful countryside with a view to the Isle of Arran.